Aaron Dixon was both a leader and a foot soldier; an intelligent black man in the mid-century United States who knew racism first-hand and wanted to end it. The Black Panthers were arguably the most important revolutionary organization in the United States in the late 1960s and early 1970s. Their presence was an inspiration to millions of men and women around the globe, especially those living in colonial and neocolonial situations. Furthermore, the Party was a key element in the movement in the United States against imperialism and its manifestations of war and racism. It was because of this latter truth that the Party was also the target of a brutal campaign of repression organized at the highest levels of Washington, D.C.'s security apparatus. Surveillance, false charges and arrests, the use of informants and provocateurs, and outright murder; nothing was out of the question when it came to destroying the Black Panther Party. Begun in Oakland in 1967, the Panthers organized chapters in Los Angeles and Seattle, and Washington soon afterward. The Seattle chapter would become one of the Party's longest lasting chapters and an integral part of the African-American and leftist community in that city. Founded and led by a young Seattle native named Aaron Dixon, the legacy of the Seattle chapter is still present in that city. Like many young people discovering leftist politics in the late 1960s, my experience was greatly influenced by the Panthers. For better and worse, their leather jackets, berets, and guns -- combined with a media presentation as badasses -- appealed to me and many of my compatriots. One instance in my political education that remains indelible in my mind occurred during the summer of 1970. I was attending summer school at the U.S. high school in Frankfurt am Main, Germany. We had just spent a class discussing the very recent U.S. invasion of Cambodia, the student strike, law enforcement murders of young people at Kent and Jackson State, and the meaning of Nixon. Class had been dismissed and I was hanging out in Gruneburg Park next to the school. There was a lawn in the park where German hippies hung out and smoked hashish. Young travelers from around the world often ended up on this lawn, playing guitars and drums, smoking dope, meeting up, and discussing politics and music. That afternoon my friend and I ended up in a circle of people discussing the Black Panthers. The discussion was more or less being led by an African-American man around 20. I had seen him in the park before, but had never talked with him. As he continued to talk, about half of the people drifted away, either too stoned to listen to his politics or just too apathetic. I stayed. Eventually, there were only three of us: me, a black girl I knew from high school, and the aforementioned young man (who seemed old to my15-year-old self). He took out some literature from his backpack and handed us each a packet. As it turned out, he was a GI recently discharged from the Army who was traveling around Europe. He had ordered several copies of Mao Ze Dong’s Little Red Book and a quantity of other literature from the Panthers' Oakland office to distribute on his travels. He suggested a couple articles to read in the issue of the Black Panther newspaper he had given us and for the next several days, the three of us met in the park and discussed what we had read. He continued on his travels, and the girl and I stayed on, occasionally hanging out at school the following year despite the different circles we traveled in. I relate the previous story as an example of the influence the Panthers had. The recently released memoir by Aaron Dixon tells a much more compelling story while providing a history of the Party through the eyes of one of its long-term members. Dixon was both a leader and a foot soldier; an intelligent black man in the mid-century United States who knew racism first-hand and wanted to end it. As a young teen he occasionally participated in protests against racism while learning the streets of Seattle. His parents worked hard to maintain an approximation of a middle class life for their children while biting their tongues all too often when they ran into racism in their daily lives. Like many others of his generation, it was the assassination of Martin Luther King, Jr. in 1968 that convinced him that nonviolent protest was no longer the only option. If there was to be real change in the United States, it would have to be of the kind put forward by the newly found Black Panther Party. Dixon and several others traveled to the San Francisco Bay Area for a Black Student Union conference and he joined the Panthers. Simultaneously, he was made captain of the Seattle branch. 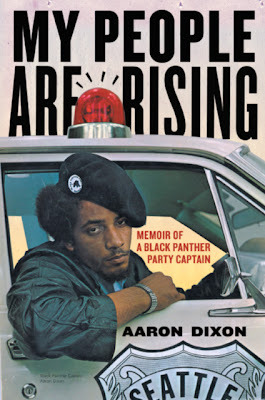 Dixon's book, titled My People Are Rising: Memoir of a Black Panther Party Captain, goes on to tell a tale of protest, gunfights with police and their stooges, and political change. The reader is presented with a story full of action, love, and politics. The Black Panther Party's rise and fall is revealed through the experiences of Aaron Dixon and those men and women he worked and lived with during his time in the party. Moments of victory and moments of defeat fill these pages, both personal and political. The narrative reads like an action thriller. Dixon's writing is even, descriptive, and urgent. Whether describing the preparations for an attack by police on a Panther house or the organization of the Panther breakfast program in Seattle, My People Are Rising keeps the reader in the story, curious as to which way the events described will turn. The Panthers eventually fell apart. The power they represented in the African-American community diminished midway through the 1970s in their primary base of Oakland and much earlier in other parts of the United States. Much of this can be attributed to the repression carried out by law enforcement under the aegis of COINTELPRO. Other factors that caused the disintegration of the party were related to the nature of the Party itself. During the heyday of their organizing drive, many people who joined saw the Panthers as just another street gang and used it accordingly: selling drugs and pimping women. When the Party leadership got wind of such activities carried out in the Panthers name, they dealt with it quickly and harshly. Indeed, when the Party began to shrink in size, Dixon was called to Oakland and became a member of one of the cadres that engaged in such activity. A questionable program was begun to chase dealers and pimps from the streets of Oakland's neighborhoods. I say questionable not because the pimps and dealers should have stayed but because the money, guns, and violence involved invited corruption. Meanwhile, the political wing of the Party had involved itself in electoral politics, running and endorsing candidates for political office in Oakland. Unfortunately, no Panthers were elected, although some of the candidates they endorsed did. By 1978, though, the party was essentially finished. Coda: In 1978 a friend and I were hitchhiking in Oakland. We were headed to Santa Cruz. An African-American man driving a Buick Regal picked us up. Once we got in the car he asked us where we were headed. I told him Santa Cruz and he said he would take us there. First, though, he needed to stop at a house in the Oakland Hills. My friend and I shrugged our shoulders and went along for the ride. He found the house, went inside for 15 or 20 minutes and came out in a hurry. We left that house and made our way to Highway 17 towards Santa Cruz. Once we were on the highway he pulled out a big joint and lit it. We smoked the weed and sat back. He handed me a pint of brandy and asked me to open it. After a few sips, our tongues loosened and we got to talking about Oakland. My friend and I had only been in California for five months and told him so. He told us he had grown up there. As the conversation somehow turned to politics, the subject of the Panthers came up. He dismissed them out of hand. I objected, telling him the story I related at the beginning of this piece. He chuckled and said; yeah he was like that once, too. After working for the Chairman, though, all he was going to say was that the Panthers had turned out to be nothing more than another bunch of gangsters. I didn't argue and I didn't agree. We changed the subject. Aaron Dixon's memoir is the first of many Panther memoirs I have read that honestly addresses the demise of the Panthers. 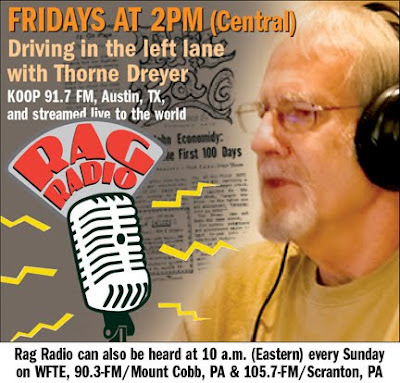 He discusses the role of COINTELPRO, the descent into gangsterism, and the end of the revolutionary aspect of the Party. He does not mince words, nor does he disavow what the Party meant to millions and means in history. In the book's final paragraph, Dixon apologizes for nothing, remembering the Black Panther Party as "men and women rising in unison to...write a new, bold future for Black America." That, I believe, is the truth found in this book and the truth revealed by history.